Despite what the vast majority of romantic comedies will tell you, keeping a romantic relationship thriving is not always easy and definitely not always humorous. However, you can easily bring back the fire in any relationship, as long as you’re willing to change up your routine a bit. If your love life could use some spice, try some of these ideas. You can utilize tradition in several ways to fire up your relationship. Creating a tradition between you and your partner will help solidify your bond. Picking one night of the week for game night or cooking a meal together, for instance, will give each of you something to look forward to every week. It connects you to an activity and ensures that no matter how the rest of the week goes, there is always one night guaranteed for quality time together. It is also something that can withstand the test of time. Though romantic movies have given us many realistic expectations of how relationships should go, there is one theme in this genre that can often be just the trick you needed to rekindle your romance: the grand gesture. Holding a boombox above your head and waiting outside your husband or wife's bedroom window may seem silly to you, but take this idea of the grand gesture and apply it your own situation. Has spending quality time together been nearly impossible? Take the initiative to book a weekend away together in a private space, even if it's just a hotel down the street. Is your partner stressed at work and unable to participate in the relationship as well as before? Schedule them a surprise massage appointment. It doesn't have to be spendy or time-consuming, but it should be a pleasant surprise. If something has stopped connecting for you and your partner, it can help by simply getting back to the basics of how you fit together. Start by learning your partner’s love language. The five love languages, a concept created by Gary Chapman, are ways that you and your partner show and feel love. In addition to “words of affirmation,” and “quality time,” one of the love languages is “receiving gifts.” If your partner feels most appreciated and loved when given gifts, keep this in mind. It's not about monetary value so much as it showing that you saw something, thought of them, and wanted to give it to them. Bring home your partner’s favourite old movie from a video rental, for example. Try sending romantic flowers to their front door for no occasion other than showing appreciation. 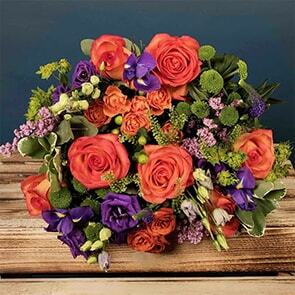 Bloom Magic does same-day delivery on everything from flowers to champagne, making it easy to express this love language to your partner with just a few clicks on your computer. Have you ever noticed that couples who travel together seem to have a special bond? There's something to this that may be helpful when trying to rekindle a romance. When the passion has cooled in your relationship, heat it back up by trying a new adventure together. While traveling to the islands of Greece may be at the top of your wish list, even something smaller like a pottery class can ignite a similar kind of adrenaline and feelings of adventure. The key is to do something new, and to do it together. You will likely learn quite a bit about each other and maybe even find a new talent. From romantic red roses to opulent mixed bouquets, and lots of gifts to accompany either, Bloom Magic has something perfect for your sweetheart on hand. 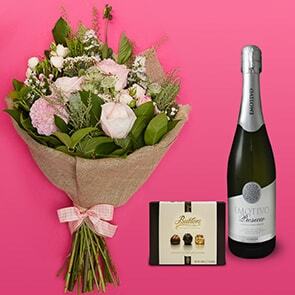 Order in Dublin and have your hand-tied bouquet arrive today, or take advantage of our next-day delivery and rekindle your romance anywhere in Ireland as soon as tomorrow.